No.1 market share in Japan. Support iOS and Android. Custom design and generic IoT service application “hubea.” Works together with the cloud computing. All stored data in the platforms can be sent to the cloud as needed. New services can be created using the big data. Ideal All-in-One Packege for Internet Connected Water Treatment Systems. "”KOSOADO CAMERA” is a service to provide instruction while list ening on a video call with a smartphone." support on a real-time basis by photos and hand-written. BeaBridge receives information sent by Beacon via BLE at BeaBridge Gateway. By sending that information to the server via the wireless LAN, it is a service that can download the information of Beacon in a remote place with CSV. 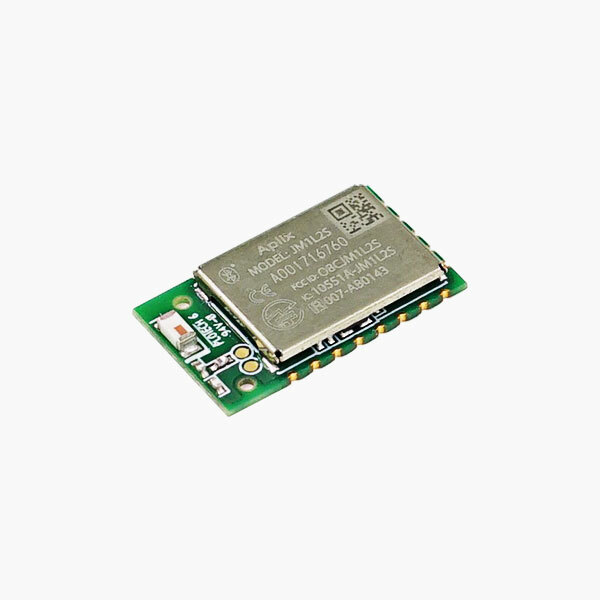 To be embedded in electronics and other home/commercial appliances to send notifications when preprogramed conditions occur. Applications can be started automatically when notifications are received so that users need not go through any complicated processes. By manually pushing the button on the beacon, users can instantly go to the sites that have been preset. For example, recurring procurement of consumable supplies can be done on the smartphone seamlessly by just pressing the button and following the instructions on the screen. Aplix offers a complete solution package including beacon hardware, smartphone application, and cloud server service so that our clients can implement location beacon service instantly.